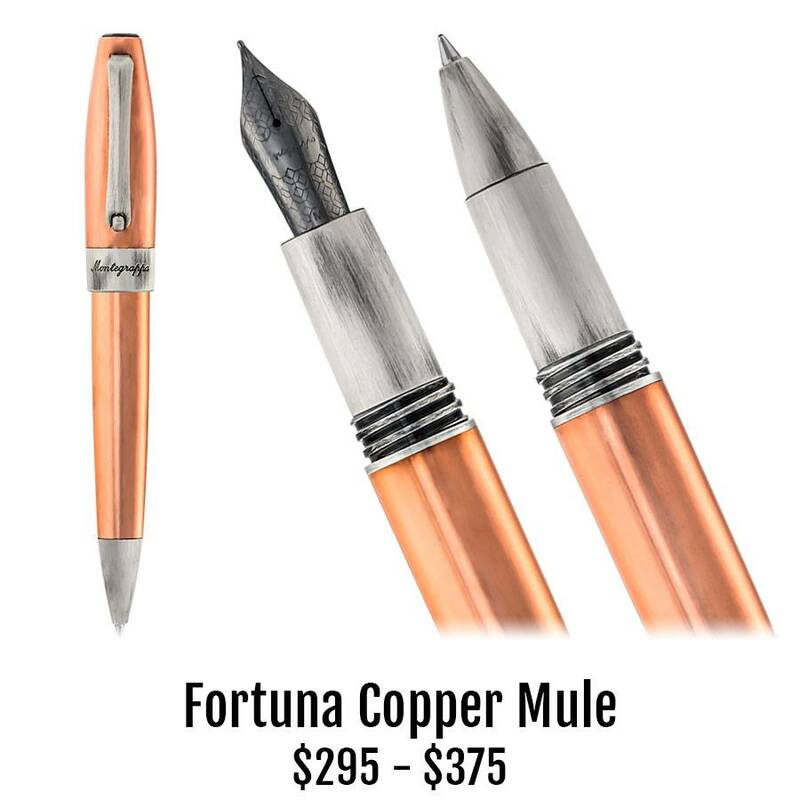 They will spring to mind immediately when you look at the Montegrappa Copper Mule collection. A once in a lifetime opportunity to show your very best friends how much they mean to you. This special edition was lightheartedly created by Montegrappa in all copper: the Fortuna fountain pen, rollerball or ballpoint. Rugged silver-colored trim on the grip, center band and clip are a hearty accent to the warm copper barrel and cap. Your set arrives in an elegant gift box. A fitting way to show your appreciation for that Moscow Mule fan in your life.